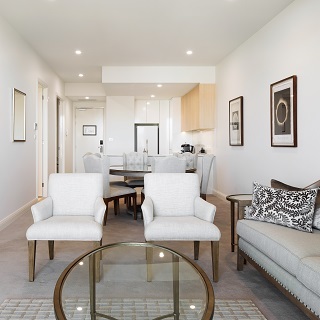 Located in Canberra's Parliamentary Triangle, your home away from home at Knightsbidge Canberra includes spacious, self-contained apartments, warm hospitality and the ultimate in convenience. Knightsbridge Canberra is sophisticated boutique hotel located in the Parliamentary Triangle precinct close to restaurants, cafes and the centre of government. Knightsbridge offer a range of accommodation types from hotel rooms to one and two bedroom self-contained apartments, making the hotel ideal for either short or long stays in Canberra. 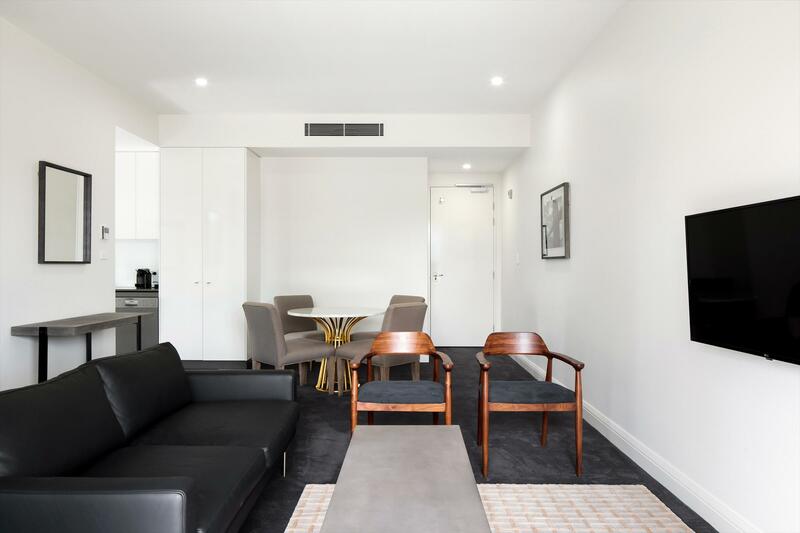 The stylish furnished self-contained apartments are designed with the ease and comfort of home in mind, ideal for the business or leisure travellers. The uniquely furnished, sophisticated accommodation comes in two interior design styles, one with a classic light French provincial style and the other more contemporary with dark timbers and brass. 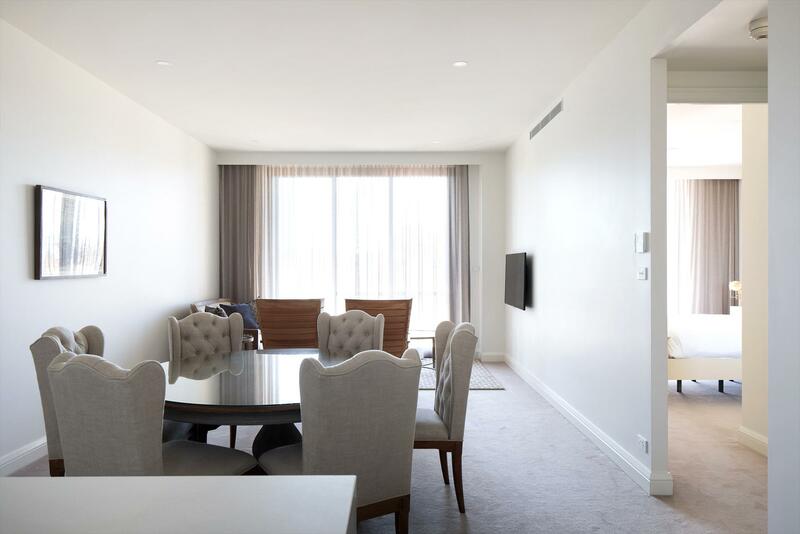 Thoughtfully designed with well-equipped kitchens, designer bathrooms, laundries and elegant living spaces make Knightsbridge the perfect base to explore Canberra. Apartments are spacious and comfortable with high ceilings and average apartment sizes from 56 to 132m2. 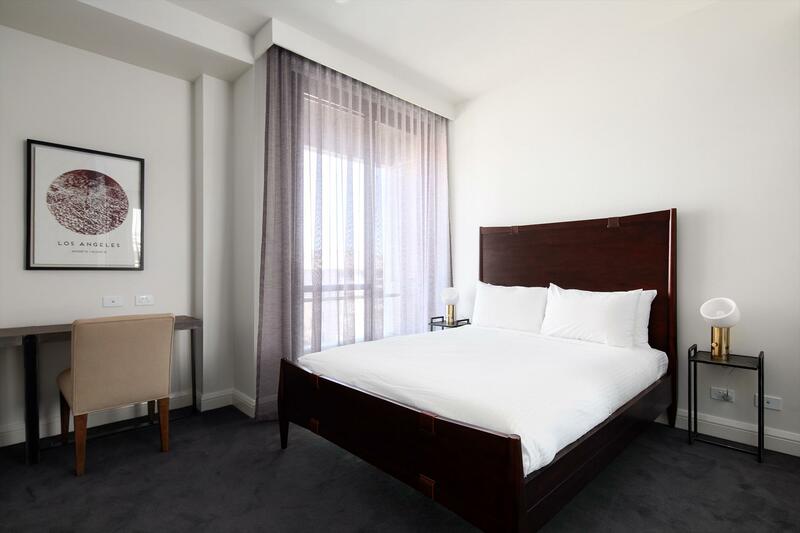 The hotel offers the latest technology including smart televisions with Foxtel and free movies-on-demand, free wifi, as well as touch controls for block out blinds and balcony doors. Lifestyle facilities include swimming pool heated seasonally, spa, BBQ terrace and gardens. Knightsbridge also offer free onsite parking for guests. Service is paramount at Knightsbridge Canberra, with 24-hour reception, welcome refreshments on arrival, daily housekeeping and welcome minibar items for your arrival. Knightsbridge Canberra is ideal for the corporate traveller as well as families visiting our nations capital. Knightsbridge Canberra is perfectly located for dining and shopping. 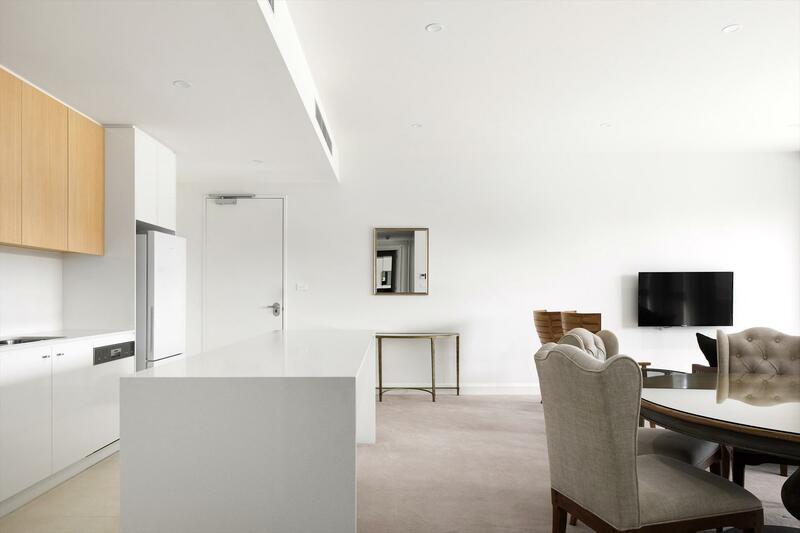 We are only 100m from Kingston and a 10-minute walk from Kingston Foreshore and Manuka. Valid credit card number required to guarantee all bookings. Cancellation less than 24 hours before check in time of 2.00pm on day of arrival will incur 1 nights accommodation charge. ID is required for guest verification upon check-in. Furnished with a touch of elegance and style. Features a Sealy Posturepedic Imperial Euro Top double bed, 2.9m ceiling height, floor to ceiling double-glazed windows, and Juliet balcony access. Luxuriously appointed bathrooms with rainfall showers and artisan amenities. Reverse cycle air conditioning is provided for year-round comfort. In-room amenities include Nespresso coffee machine, selection of T2 teas, FREE mini-bar items, FREE high-speed WiFi, FREE Foxtel and FREE movies-on-demand. Guest facilities include free basement parking, Techno gym, infinity pool and spa. Features a Sealy Posturepedic Imperial Euro Top double bed. Luxuriously appointed bathrooms with rainfall showers and artisan amenities. Living areas have 2.9m ceiling heights, full balcony access, floor to ceiling double-glazed windows providing abundant natural light. Reverse cycle air conditioning is provided for year-round comfort. Our furnished living and dining areas feature fully equipped kitchens and laundries, ensuring you have all the amenity of home. In-room amenities include Nespresso coffee machine, selection of T2 teas, FREE mini-bar items, FREE high-speed WiFi, FREE Foxtel and FREE movies-on-demand. Guest facilities include free basement parking, Techno gym, infinity pool and spa. Features a Sealy Posturepedic Imperial Euro Top Queen bed. Luxuriously appointed bathrooms with rainfall showers and artisan amenities. Living areas have 2.9m ceiling heights, full balcony access, floor to ceiling double-glazed windows providing abundant natural light. Reverse cycle air conditioning is provided for year-round comfort. Our furnished living and dining areas feature fully equipped kitchens and laundries, ensuring you have all the amenity of home. In-room amenities include Nespresso coffee machine, selection of T2 teas, FREE mini-bar items, FREE high-speed WiFi, FREE Foxtel and FREE movies-on-demand. Guest facilities include free basement parking, Techno gym, infinity pool and spa. Features a Sealy Posturepedic Imperial Euro Top King bed. Luxuriously appointed bathrooms with rainfall showers and artisan amenities. Living areas have 2.9m ceiling heights, full balcony access, floor to ceiling double-glazed windows providing abundant natural light. Reverse cycle air conditioning is provided for year-round comfort. Our furnished living and dining areas feature fully equipped kitchens and laundries, ensuring you have all the amenity of home. In-room amenities include Nespresso coffee machine, selection of T2 teas, FREE mini-bar items, FREE high-speed WiFi, FREE Foxtel and FREE movies-on-demand. Guest facilities include free basement parking, Techno gym, infinity pool and spa.